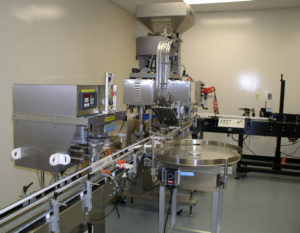 At Deitz, we offer a variety of fully inspected, certified, pre-owned packaging machinery. It’s available at a deep discount on a first-come, first-served basis. We design Deitz packaging machines to help companies grow through every stage. Whether you’re filling and packaging in the garage, moving into a bigger facility or building a fully automated packaging line from scratch, our machines offer a wide range of capabilities, production speeds and options to serve you every step of the way. Since our customers often grow faster than anticipated along with their production needs, we’re willing to buy back their Deitz machines as a trade-in when buying the new Deitz machine. Then our engineers inspect every inch and every part of the machine, replace any wear parts, if needed and test it at full-speed. After a thorough cleaning, we certify it as ready for resale.